This venue is prime space for business presentations, meetings and parties. Its versatile, open layout can be set up theater, banquet, classroom style and more. 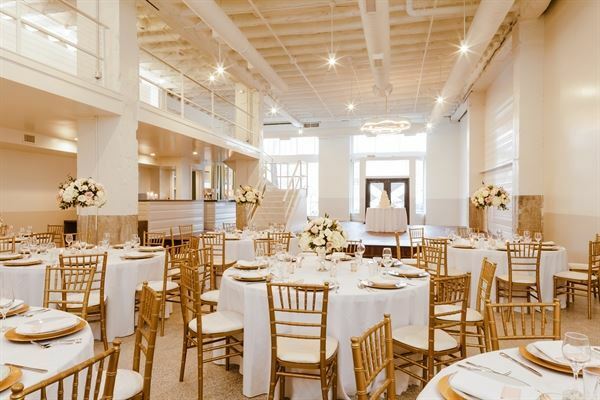 Atmosphere/Decor: This space has been kept elegantly neutral so as to accommodate any event. Its iridescent walls and silver light fixtures capture the contemporary style found throughout the hotel. Special Features: Retractable projection screen, crystal chandeliers, two entrances, casual to formal settings. Our largest space, Park offers industrial-chic touches amid a bright, open floor plan. It's a clean slate, ready to be transformed to fit wedding receptions, fundraising galas, and corporate dinners - or anything else a client can dream up. The Rockefeller Room is best used for gatherings such as bridal/baby showers, conferences and private dining. With artistic damask wallpaper, eccentric lighting and wood floors this space is perfect for any medium sized, upscale event. Atmosphere/Decor: Patterned black and silver wallpaper accent the contemporary art deco venue with ebony rectangular tables and ivory leather seating. Special Features: Wooden floors and mounted tv screens allow various functionality with modern surroundings to fit any occasion. Special Features: With modern art-deco style decor throughout, we offer personalized bell/valet service, luxury car transportation, glass spa shower with varied jet settings in each guestroom, wet bar in all suites and walking distance to many downtown attractions.